Flinders Petrie was a British archaeologist and Egyptologist who was born on June 3, 1853 in Charlton, England, near Greenwich, and passed away on July 28, 1942. He made valuable contributions to the techniques and methods of field excavation, and invented a sequence dating method that made the reconstruction of history from the remains of ancient cultures possible. He spent most of his archaeological career excavating in Egypt. However, he also spent time as a Professor of Egyptology in England, and spent the latter part of his archaeology career excavating in Palestine. Petrie was privately educated, developing archaeological interests early in life. Petrie was particularly in the areas of ancient measures, and Egyptology. His mother, Anne was also interested in science. She collected fossils and minerals. She encouraged the intellectual pursuits of her son, teaching him at home, and introducing him to the Hebrew, Latin, and Greek languages. Petrie's father, William, was a Civil Engineer and professional surveyor. He taught Flinders how to survey accurately. As a teenager, Petrie began to survey historical sites and buildings across England. One of these sites was the famous Stonehenge, a Bronze Age megalithic monument located in the English county of Wiltshire. This work allowed him to determine by mathematical computations the unit of measurement for the construction of the monument. In 1880 he published a book about his findings at Stonehenge, titled Stonehenge: Plans, Description, and Theories. At the age of 24, Petrie wrote Inductive Metrology; or, The Recovery of Ancient Measures from the Monuments, a work that represented a new approach to archaeological study. The book described a precise method of determining the units of measurement used in constructing ancient monuments. Petrie never attended college, at least for very long. His only formal education was one university course in mathematics. Petrie is mainly remembered for his work as an Egyptologist. In 1880, right after the publication of his Stonehenge book, Petrie and his father went to Egypt to survey the Pyramids. From 1880 until 1883, Petrie and his father surveyed the Giza site, which included the Great Pyramid. Piazzi Smyth, an Astronomer Royal from Scotland who had done metrological studies of the Great Pyramid of Giza, was Petrie's father's motivation for traveling to Egypt the first time. Petrie's father saw Smyth's theories as an admirable restoration of science and religion, and decided that he and his son should use their skills to obtain more precise measurements of the Great Pyramid. Flinders' measurements actually proved that Smyth's theories were mistaken. This served as the beginning of Petrie's four decades of excavation in the Middle East. Petrie grew to see his life as a mission of rescue archaeology, that is, to retrieve as much information as possible from sites that were shrinking dramatically in size as Egypt modernized. During the decades in which Petrie was an active archaeologist, there was no government grant to fund excavation - money was needed to pay for travel, food, and labor costs. Archeologists had to seek funds, or work for societies that raised money for excavations in Egypt. Having accomplished such impressive work at Giza, Petrie was recommended to the Egypt Exploration Fund (later the Egypt Exploration Society), who needed an archaeologist in Egypt to succeed Édouard Naville. Petrie accepted the position and was given the sum of £250 per month to cover all of the excavations’ expenses. At the time, the Egypt Exploration Fund was the main society for exploration in Egypt. In November 1884, Petrie arrived in Egypt and continued his excavations. During the 1884 excavation of the Temple of Tanis, Petrie discovered pieces of a statue of Ramses II. In 1885 and 1886, at Naukratis and Daphnae in the Nile River delta, he uncovered painted pottery by which he proved that those sites had been trading colonies for the ancient Greeks. It was this discovery that caused him to believe that history could be reconstructed by comparing of pottery fragments at various levels of an excavation. Most of his finds from 1884 until 1886 went to the British Museum. The year 1886 also marked the end of Petrie's first stint of employment with the Egypt Exploration Fund. His meticulous and systematic style of research soon made him famous. Because he was no longer working for the Egypt Exploration Fund, Petrie relied on his own resources and the sponsorship of Jesse Haworth and Martyn Kennard, two wealthy archaeology enthusiasts, to continue his excavations. In 1888 and 1889, Petrie excavated the temple site of Biahmu, towns in the Medinet el-Fayum region (also referred to as the Faiyum, Fayum, or Al-Fayyum region), and the Hawara pyramid field. Petrie made many important discoveries in the Medinet el-Fayum region. He found numerous papyri and Aegean pottery that proved the dates of ancient Greek civilizations, including the Mycenaean. At the Pyramid of Hawara he searched through the tomb of Pharaoh Amenemhet III to discover how grave robbers could have found the tomb’s opening and made their way through the labyrinth surrounding the two stone coffins that they emptied. He concluded that they must have been given the master plan by an informer. In 1890, Petrie excavated the Lahun pyramid field, and the town of Gurob. In Palestine, his six-week excavation of Tell el-Hesi in 1890 represented the first scientific excavation of an archaeological site in the Holy Land. In 1891, Petrie worked at the Meydum pyramid field. In 1892, Petrie explored the towns and temples of Amarna. At Amarna he excavated the city of Akhenaton, ruled by Amenhotep IV from 1353 to 1336 B.C.E., revealing the now-famous painted pavement and other artistic wonders of the Amarna age (14th century B.C.E.). The city also contained many beautiful ornaments from the Amarna age. Petrie's finds from 1887 until 1892 were distributed between the Egyptian Museum of Cairo, himself, and Haworth and Kennard. From 1893 until 1896, Petrie worked on a few projects in Koptos, Naqada, and Thebes, excavating towns, temples, and cemeteries. He was funded by various sponsors during this time, excavating thousands of graves of ancient Egyptians. In Thebes, Petrie discovered a stele (a stone or wooden slab) of Merneptah, the king of ancient Egypt from 1213 to 1204 B.C.E. At this stele, Petrie found writings that contained the earliest known Egyptian reference to Israel. The Merneptah Stele is the reverse of a stele originally built by the Egyptian Pharaoh Amenhotep III, but later inscribed by Merneptah in the thirteenth century B.C.E. There is only one line about Israel on the stele, which states "Israel is wasted, bare of seed" and very little about the region of Canaan as a whole. Because the stele contains only the single line mentioning Israel, it is difficult for scholars to draw a substantial amount of information about what the word "Israel" meant on the slab. The stele does point out that Israel referred to a people. In 1896, Petrie again began working for the Egypt Exploration Fund, relying on them to sponsor his excavations. His first new project with the EEF was the excavation of the town of Oxyrhynchus. From 1897 until 1899, Petrie excavated cemeteries at Deshasheh, Denderah, and Hu. From 1899 until 1904, Petrie added to the knowledge of the pyramid builders during his exploration of the necropolis of Abydos, holy city of the cult of Osiris, god of the dead. Petrie was also involved in excavations of pit tombs in Abydos, the standing stone slabs of which initially suggested that they belonged to pharaohs of the early Egyptian dynasties. In 1903 and 1904, Petrie also excavated temples and cemeteries at the towns of Ihnasya, Sedment, and Gurob. In 1905 Petrie excavated quarries and a temple in Sinai. Sinai was the last excavation Petrie completed for the Egypt Exploration fund. After completing his last excavation for the Egypt Exploration fund in 1905, Petrie began working for the British School of Archaeology in Egypt. His first excavation for the British School of Archaeology in Egypt was at the East Delta, where he explored towns and cemeteries. In 1906 and 1907 Petrie excavated pyramid fields, cemeteries, monasteries, and temples at Gizeh, Rifeh, Athribis. In 1907 he excavated the White Monastery, a Coptic Orthodox monastery located in the Upper Egyptian city of Sohag. From 1908 to 1913, Petrie excavated towns and temples in Memphis, Egypt. In between excavating Memphis, Petrie excavated cemeteries and temples in West Thebes from 1908-1909, pyramid fields and cemeteries in Meydum, Hawara, and Gerzeh between 1910 and 1911, temples in Heliopolis, and cemeteries in Tarkhan in 1913. In Thebes In 1913 and 1914 Petrie excavated towns and pyramids at Lahun, and cemeteries at Harageh. After Harageh, Petrie took a five year hiatus from exploring in Egypt. He sold his large collection of Egyptian antiquities to the University College in London, where it is currently housed in the Petrie Museum of Egyptian Archaeology. In 1919 he returned to Egypt, excavating towns, pyramids,and cemeteries at Lahun, Gurob, Sedment, and Abydos until 1922. From 1923 to 1924 Petrie completed his final excavations for the British School of Archaeology in Egypt while digging at cemeteries in Qau-Badari. Petrie spent the end of his career exploring towns and cities in Palestine, with the funding of the Palestine Exploration Fund. In those years, he uncovered the ruins of 10 cities. Petrie also excavated Tell el-Jemmeh and Tell el-Ajjul. At another point in the late nineteenth-century, during a brief foray into Palestine, Petrie surveyed a group of tombs in the Wadi al-Rababah (the biblical Hinnom) of Jerusalem, largely dating to the Iron Age and early Roman periods. There, in the ancient monuments, Petrie discovered two different metrical systems. His scientific methods provided the guidelines for all subsequent Palestinian excavations. Petrie spent the last years of his life living in Jerusalem, where he died in 1942 at the age of 89. Petrie arranged that, on his death, his head be donated to science, specifically the Royal College of Surgeons of London, so that it could be studied for its high intellectual capacity. Petrie was, no doubt, influenced by his interest in eugenics. However, due to the wartime conditions that existed in 1942, his severed head was delayed in transport from Jerusalem to London, and was eventually lost. Petrie’s body, minus its head, was interred in the Protestant Cemetery on Mt. Zion. Petrie also had a successful career in archaeology apart from his many excavations. Even though he had no formal education, Petrie was made the first Edwards professor of Egyptology at University College London in 1882. This allowed him to form his own Egyptian Research Account to support excavation in Egypt. In 1894 he founded the Egyptian Research Account, which became the British School of Archaeology in 1905. In 1904 Petrie published Methods and Aims in Archaeology, the most important work of his time as an archaeologist. In this publication he defined the goals and methodology of his profession along with the more practical aspects of archaeology, such as details of excavation. The book also mentioned the use of cameras in the field. In 1923 Petrie was knighted for his services to British archaeology and Egyptology. Petrie’s most significant contribution to archaeology is his method of statistical analysis of the materials, through which he was able to rather precisely (for that time) determine how old the material was. This method began to be used again in the 1970s, with the arrival of computers able to perform the calculations, replacing Petrie’s cards and calculations by hand. His diligent recording and study of artifacts set new standards in archaeology. In addition, Petrie improved the technique and method of field excavations, paving the way for of modern archaeology. As stated before, his excavations in Palestine were the first in the Holy Land, providing the guidelines for all future research in that area. Petrie was also the first archaeologist to use seriation in Egyptology. Seriation was a new method at the time used for establishing the chronology of a site. As great of an Archaeologist as Flinders was, however, he still remains a controversial one. He had strong pro-eugenic views, meaning that he believed that humans with desirable traits should procreate in an attempt to improve human genetics. Yet his controversial views did not stop him from being a role model to the next generation of young Archaeologists. While on his many explorations during his time as a professor, Petrie was able to mentor and mold his students into Egyptologists. Flinders Petrie also effected students in a positive way after his death, when his wife created a student travel scholarship to Europe in 1905. Flinders Petrie. Digital image. Wikipedia. N.p., n.d. Web. 2 May 22 https://upload.wikimedia.org/wikipedia/commons/thumb/5/5a/Flinders_Petrie.jpg/220px-Flinders_Petrie.jpg. Poole, Gray Johnson. "Sir Flinders Petrie." Encyclopedia Britannica Online. Encyclopedia Britannica, n.d. Web. 29 Apr. 2016. "The Archaeological Record: Flinders Petrie in Egypt." The Archaeological Record: Flinders Petrie in Egypt. N.p., n.d. Web. 29 Apr. 2016. "William Matthew Flinders Petrie." - New World Encyclopedia. N.p., n.d. Web. 29 Apr. 2016. "Sir William Matthew Flinders Petrie Facts." Sir William Matthew Flinders Petrie Facts. N.p., n.d. Web. 29 Apr. 2016. 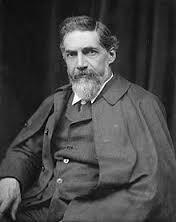 "Tour Egypt :: Egypt: William Flinders Petrie, Father of Pots." Egypt: William Flinders Petrie, Father of Pots. N.p., n.d. Web. 29 Apr. 2016. "Flinders Petrie Archaeologist." Flinders Petrie Archaeologist. N.p., n.d. Web. 29 Apr. 2016. "PETRIE, SIR WILLIAM MATTHEW FLINDERS." Jewish Virtual Library. N.p., n.d. Web. 29 Apr. 2016. "A Future for the Past: Petrie's Palestinian Collection." A Future for the Past: Petrie's Palestinian Collection. N.p., n.d. Web. 29 Apr. 2016. "Paying Homage to Pioneering Archaeologist Who Lost His Head." Haaretz.com. N.p., n.d. Web. 29 Apr. 2016.